Two judges who were instrumental in the long fight to desegregate Nashville’s public schools will be honored Friday at the third annual Francis S. Guess Bridge to Equality Fund Luncheon. The luncheon, presented by the Community Foundation of Middle Tennessee, will recognize State Court of Appeals Judge Richard Dinkins and retired U.S. District Judge Thomas Wiseman, both of whom played key roles in the resolution of the decades-long Kelley v. Board of Education case, which challenged school segregation in Nashville. Judge Dinkins and Judge Wiseman will both be presented with the Francis S. Guess Bridge to Equality Award at the luncheon, which will be held from 11:30 a.m. to 1:30 p.m. on Friday, May 11 in the Music City Center’s Davidson Ballroom. Ellen Lehman, president of The Community Foundation of Middle Tennessee, discussed the meaning and purpose behind the Francis S. Guess luncheon. “Our goal for this event is to recognize civic leaders who have helped this community survive and prosper through the building of bridges and the hard work of building community from disparity,” she said in a statement on the organization’s website. “When we considered the most important bridges that have been built — without the use of cranes or welding masks — we naturally thought of the desegregation of Nashville Metro Public Schools. Judge Dinkins first got involved with the Nashville school desegregation case when he was a third-year law student at Vanderbilt University in the late 1970s clerking for Avon Williams, Jr. He went on to represent the plaintiffs in the case, which was finally resolved in 1998. Judge Dinkins currently serves on the Tennessee Court of Appeals, to which he was appointed by Governor Phil Bredesen in January 2008. Before that appointment, he served as Chancellor of the Davidson County Chancery Court, Part IV, a position he held starting in September 2003. Judge Dinkins was in private practice for 26 years prior to his judicial career. Some of Judge Dinkins’s clients during that time were Fisk University and the Metropolitan Development and Housing Agency. 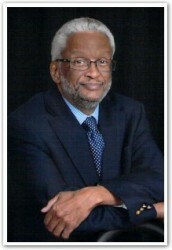 In addition to his work on the bench, Judge Dinkins also currently serves as an adjunct professor at Lipscomb University’s Institute for Law, Justice and Society and sits on the boards of various organizations, including the Oasis Center, LEAD Public Schools, the Tennessee Alliance for Legal Services, and the Tennessee Jazz & Blues Society. Judge Dinkins was recently honored with the 2018 John C. Tune Public Service Award, the Nashville Bar Association’s most prestigious award. In 2013, he received a Human Relations Award from Community Nashville. Judge Wiseman was appointed to the U.S. District Court for the Middle District of Tennessee in 1978 by President Jimmy Carter. In that position, he became involved in not only the Nashville school desegregation case, but also a major case related to the desegregation of the state’s higher education system. Judge Wiseman graduated from Vanderbilt Law School in 1954, after which he served in the United States Army for two years before entering private practice. From 1964 to 1968, Judge Wiseman was a member of the Tennessee House of Representatives. From 1971 to 1974, he was state treasurer. In 2004, Judge Wiseman received Vanderbilt Law School’s Distinguished Service Award. Judge Wiseman has been an adjunct faculty member at the law school for many years. Francis S. Guess was a longtime, prominent business and civil rights leader in Nashville. During his professional career, he became vice president of The Danner Company, operator of Shoney’s restaurants, and also owned and operated Helicopter Corporation of America. He was a member of Tennessee’s Commission on Human Rights for 30 years and was also appointed to the U.S. Commission on Civil Rights by President Ronald Reagan.